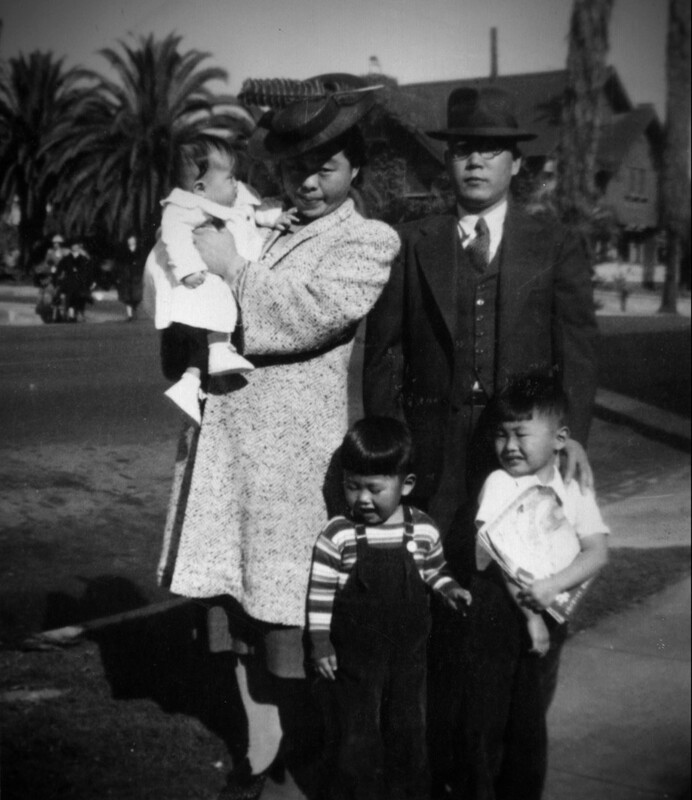 My mother was born in Sacramento, the daughter of Japanese immigrants, and my father grew up in San Francisco. They met and married in Los Angeles, where I was born in 1937, and where we lived happily until December 7, 1941. When the Japanese attacked Pearl Harbor, life changed for our family and thousands of other families like us. Suddenly we were presumed to be the enemy. We were questioned, followed, suspected, and accused of being spies or saboteurs simply because of our ancestry. The government that was supposed to protect us against mob rule suddenly had become the mob. It is hard to describe a more gripping, more pervasive sense of terror. Just a few weeks after my 5th birthday, the military forcibly removed us from our home. Two soldiers with bayonets marched upon our driveway on Garnet Street, pounded on the front door, and demanded we vacate immediately. We took only what we could carry. My younger brother and I both held a suitcase; my mother, tears streaming down her face, held my baby sister with one arm and a duffle bag with another. We lost our home, our car, my father’s book collection. 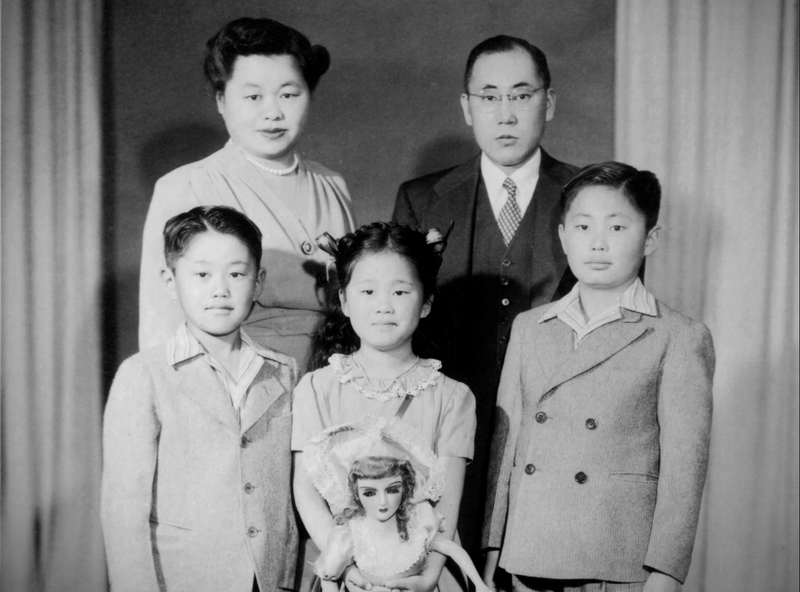 We were forced at first to live in a horse stable at a local race track while the government finished the prison camps where 120,000 Japanese Americans would spend the next four years in some of the most desolate places in the country. After several months of surviving together in a single horse stall, my family was sent to the swamps of Arkansas, arriving at Rohwer War Relocation Center — a nondescript name for the barbed wire-enclosed space that confined us. The grotesquely abnormal became our normality. Uniformed guards, sentry towers, and searchlights became our normality. Lining up for meals and for the public latrine in a prison camp became our normality. On Wednesday night, a top surrogate of President-elect Trump suggested that these prison camps serve as precedent to justify a Muslim registry. But the interning of Japanese Americans in 1942 is not a “historical, factual precedent” to follow. In America, we do not imprison someone without trial. We do not imprison someone for their race or religion. Congress and the White House recognized this, when after many decades the nation issued an apology and modest reparations to the survivors. We had thought a national consensus had at last been achieved, and that we would never go back to those times, nor to the thinking that brought them about. That thinking was steeped in fear and racism, pure and simple. This is just as a Muslim registry, a Muslim ban, or Muslim camps would be. And we cannot permit it. Donald Trump and his advisors do not understand that some history should never, ever be repeated. They do not know the anguish that it caused tens of thousands of Japanese Americans, who became prisoners in our own country. They did not live through it, and they cannot fathom it. But some of us did. Some of us remember. And we have pledged to never let it happen again. My father once told me that American democracy is a people’s democracy at heart, and that it therefore can be as great as the American people, or as fallible. It depends on all of us. But our system is more fragile than we know. To sustain it, we must always cherish the ideals on which it was founded, remain vigilant against the dark forces that threaten it, and actively engage in the process of making it work. The election may not have turned out the way many hoped, but we must take each setback as a challenge to stand up ever taller. I am rededicating the balance of my years to hold this country I love up to its highest ideals. I want to make a more perfect union, and require our government to stand for what is right, regardless of who occupies the Oval Office. Our fight will be harder under a Donald Trump administration, there is little doubt. But we must recommit ourselves, each of us, to ensuring that we treat all persons equally, that every individual and community retains a voice, and that at all times we have got each other’s backs. Nothing is more vital. Some know me as Mr. Sulu from Star Trek but I hope all know me as a believer in, and a fighter for, the equality and dignity of all human beings.